Recently I investigated the site of the ‘class wall’ that stood near the house where I lived as a child. In 1926 residents of Alexandra Crescent, a private road in Bromley, Kent, about a third of a mile from my family’s house, built a seven-foot wall, capped with broken glass, across the road. 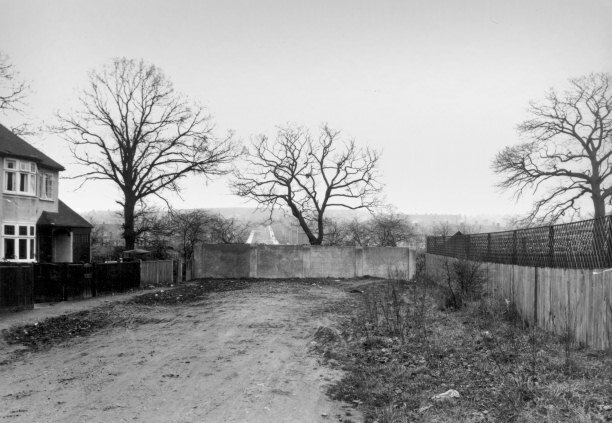 The wall was constructed to stop the working classes from the Downham estate, like our family, entering the streets of the adjoining middle-class estate. The Downham estate had been built by the London County Council (LCC) to house people displaced by the slum clearances in the East End of London. That prewar class wall brought to mind the striking rise in gated communities, barrier-walls and the adoption of private security for affluent communities.